Creating a website is not a difficult task. No one likes paying for hearsay. Properly utilized it can be an excellent platform. Email – Email marketing is the New Coffee meeting! Let US be the creeps at telling them via Email – Email marketing is the New Coffee meeting! 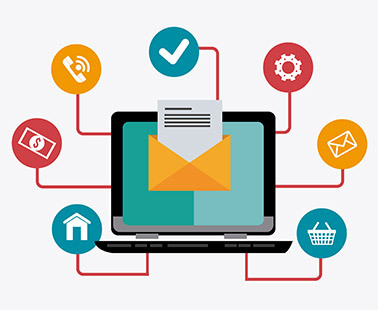 The ease of access to emails due to these various platforms makes email marketing a very powerful tool. Email newsletters are also effective strategies to create bonds and build trust with your consumers. DAA makes it easy to spread the word about your product or service with our expertly crafted emails that resonate with your customers. Our contact management features are designed to grow your contact list. This way, you can accelerate your business development. Your account will be fully equipped with robust image libraries and file hosting capabilities created to drive your brand to full growth. Then we will run back and forth your database bringing down cobwebs and putting a new coat of paint. So knowing what you need is key and having expired info only adds to the stress; that’s what we clean and get your database ready for more. We then indulge our creative team of writers to craft the perfect email copy for the campaign. Our SEO team jumps right after to get the campaign fully optimised. We then ensure your target audience opts in. Once they do, we get their information collected and organised. Then we can get the campaign out; we thrust it with power at this stage. We then sit and wait to hear what your audience have to say. Our professional social media marketing Melbourne, social media marketing Australia and our social media management Australia experts are good at this. Your subscribers and consumers will definitely receive and understand your message – because it sure counts! Then Let’s Do COFFEE – As you tell us Your STORY! Culture-exchange (adjusts sitting position – listening mode). The leading digital advertisement agency in Melbourne loves to listen!